Do you need label printing equipment, label design software or label applicators? We work with the world’s leading equipment brands, for both direct thermal and thermal transfer label printing. 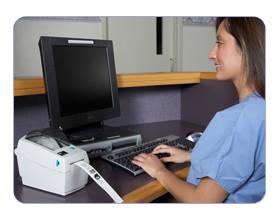 We’re an Authorized Business Partner for both Zebra and Datamax, so we’ll help you select the best equipment for your budget and your application. We’ll also give you the best possible pricing, and we’ll match any written price quote from other authorized resellers. 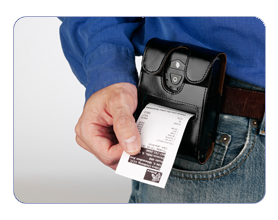 Label Dispensers – low cost ways to speed up labeling by hand. 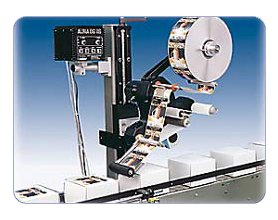 Automatic Label Applicators – can be placed almost anywhere in your production line, and apply labels faster and more accurately than a human operator. 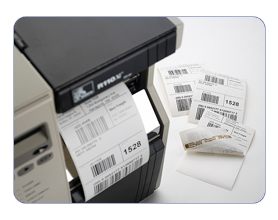 Print and Apply Automatic Label Applicators – combine a full-function label printer and applicator, giving you the best of both in a fast, reliable, all-in-one unit. Now you can use the same software, with all the same features and capabilities as we use in our professional label production. We can help you with installation, training, new label designs and ongoing technical support. All this, at a fraction of what you’d expect to pay, starting under $500. We guarantee to be your lowest price, and we’ll match any other written proposal. We can help you develop an entire label printing, design and handling operation, and integrate it into your current product flow. Call us to talk about your project and what you want to accomplish, send us an email that outlines your ideas, or send us your printer requirements and we’ll give you a free quote on all the necessary printing equipment, plus installation, training, and on-going support.